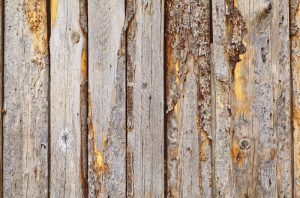 It is important for homeowners to realize that wood fences will require maintenance over the years. Mother nature can be rather unkind to fences. Over the years, many styles of fences will experience some form of weathering. Also, several other possible factors can cause significant damage to your fence. As a result, you may be looking at hundreds or even thousands of dollars in repair costs. The good news is that there are several steps you can take to ensure the integrity and beauty of your fence. Keep reading and discover a few tips for preventing various kinds of damage to your fence. Trees and fences do not always mesh well together. Since this is the case, sometimes you need to take a proactive approach if a tree is near your fence. Be sure to trim branches that hang over your fence. Seasonal pruning is one of the best ways to prevent dying or diseased branches from falling on top of your fence. It is important to realize that a few strong gusts of wind can take down a large tree branch in a moments notice. If you notice that your neighbor’s tree has a worrisome branch overhanging your tree, be sure to let them know as soon as possible so they can address the issue. A solid wood fence can be an excellent addition to a yard. However, it is important for homeowners to realize that wood fences will require maintenance over the years. Excessive moisture can cause mold and mildew to grow, which will jeopardize the integrity of your fence. A way to prevent this is to trim away any plants or shrubs that grow too close to the fence. Also, remove all dead vegetation that is in contact with the bottom of your fence. In addition to causing mold, it attract termites and other insects. This entry was posted on Friday, October 5th, 2018 at 5:41 pm. Both comments and pings are currently closed.